Last Wednesday was my last 'Archdeacon's Visitation' - the service at which churchwardens are 'admitted'. The Venerable Michael Everitt - a truly delightful man - took the service. His 'reflection' (a sort of sermon) was based on the following passage. Or, rather, letting God put me back together again. I know I'm forgiven. I know I'm loved. Over the years I've been slowly, painfully, learning to love and accept myself. The hardest bit of that is loving the broken, scarred, bits of my being. Those bits I don't love. Those bits I resent deeply. Without my experiences though, both good and bad, I wouldn't really be me. So, perhaps I need to learn to accept them as part of me. That's a big ask though. This could also be entitled 'Starting to piece myself back together again'. It struck me the other day that we're not designed for death. The traditional view of Roman roads is that they proceed in straight lines, and that they change direction at the crests of hills. Actually, there are probably more exceptions to that rule than one might care to list, but the principle isn't a bad one. It's also appropriate for what I want to say. 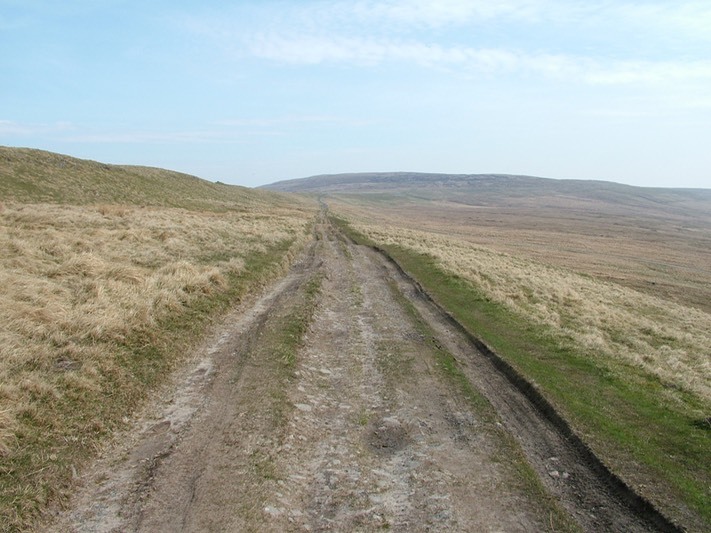 Here, to illustrate the 'traditional' point is a photo of a section of Roman road in the Bowland Fells near here. Recently, we held a Christian conference here in Lancaster. It was called 'New Wine Local: Landmark' (or something like that). It proved, as the name suggests, to be a 'landmark' in many people's lives. I was part of the team running the event, though my role didn't prove too onerous - I just had to monitor health and safety in one of the buildings. It meant long days, but also allowed me to take part in most of the sessions - though it was a little odd trying to listen to the speaker with one ear whilst monitoring the radio net for 'safety-related' messages with the other!